I think we can all agree that for the most part, 2016 had some pretty rough patches, lol. The important thing is I came out of it with my health and sanity in tact; so first, let’s toast to that! As I prepare to close out this year, I am sitting back and reminiscing on some of the greatest moments of the year. I can admit that despite some of the bad things going on in the world, I managed to make some pretty awesome memories throughout. One thing I’m most proud of is publishing my first novel. To this day, I still can’t believe I achieved that goal of writing an entire book. It’s even manifested into something so much more and I have so many ideas in the works just from this. This has been a goal of mine for some time now and I am so glad that it came to pass. This caused me to realize that I know and intend to conquer any dreams I set up for myself. I know I have so much in my brain I want to achieve in my life, and with #Year30 approaching, there are so many more things I want to see come to fruition in my life. Another aspect of life I improved was personal growth and self-care. I feel like every year I grow more and more each day and choosing to make my well-being a top priority has helped with that. 2016 was definitely a year I attempted to be different than previous years. My core never changed, but I made changes in my lifestyle that have remained consistent and kept me going in the right direction. Most of us are barely hanging on to 2016; I know because although I’ve had some good moments, I had quite a few bad ones too. Needless to say, I’m like everyone else in 2016; hanging on by a thread and praying for better times in 2017. Just a short story I wrote on my author blog! Hopefully more short stories coming soon! Nothing builds anticipation for me than Christmas lights and decorations. 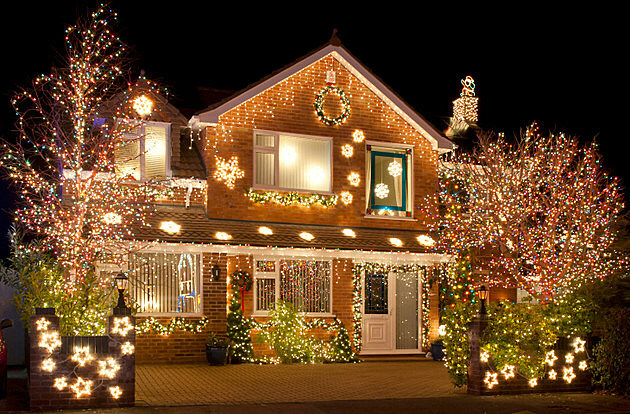 Seeing homes decorated with lights and other decorations makes me excited to enjoy the holidays! ah comfort! That thing that puts us at ease, that thing we are used to, that makes us feel good. I was recently asked, “Do you think fear stops you sometimes from moving forward?” my answer was simple “of course!”. Fear is just the presence of the unknown. You have no idea if what’s ahead will cause pain, threaten you or your life(style) in any way, or be dangerous. Moving forward creates an expectation, results, the higher up you climb the more the reality sets in you could fall. Moving forward means change, uncomfortable change since you don’t really have an idea what’s ahead or how to prepare for it. If you knew what was ahead would you have the same fear to move towards it?